What's Skow-ing on in 4th Grade?? 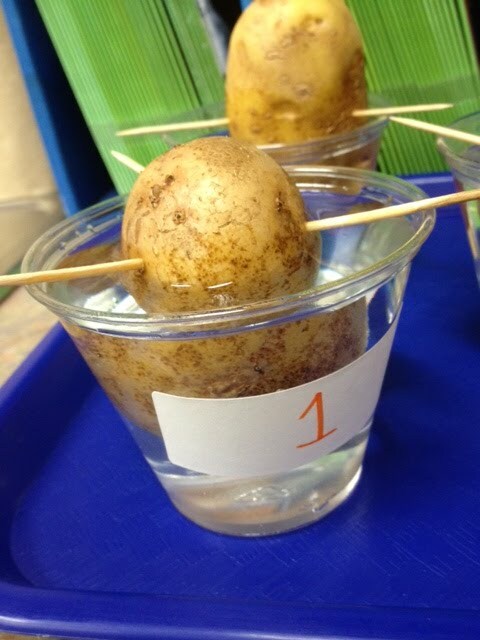 : How can you grow a potato plant without a seed? This is the exact question we are attempting to answer right now in C107! 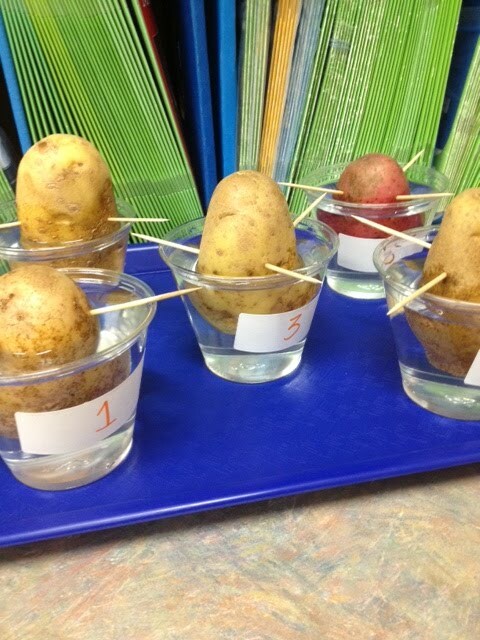 We have set up our potatoes (cut about 1/4 off and soaking in plain water for a couple weeks) and have begun to observe, infer and predict about the growth we expect. 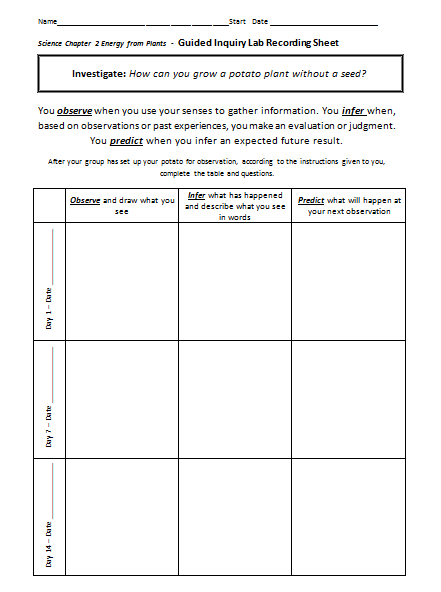 Each student is keeping track of their information on one of these recording sheets. We will check back in a few days and again at the 2 week mark. We are anxiously awaiting the results! In the mean time, it makes a pretty cool display in the classroom! 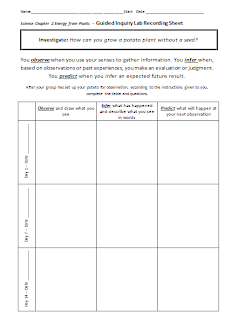 If you're a teacher who'd like to try this experiment with your kiddos, you can download the lab sheet for FREE in my TpT store!